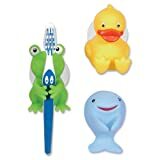 Set of 4 animal toothbrush holders that are easy for kids to use independently. 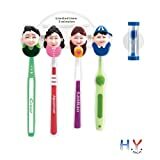 Designed to keep your toothbrush dry and protected from dust and harmful bacteria. Durable and really easy to use–Good quality material and suction cups. You are gonna love it! — Make it fun while brushing your tooth and it looks cute in your bathroom! Please install the toothbrush holder on the smooth surface of tiles and glasses etc. If the sucker deformed or hardened, please place the suction cups soaking in hot water around 60 C for 10 mins, which can be reused after drying. 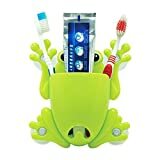 Note: This holder does not include toothbrush. The lovely shape is a creative design.It can help to decorate your house. Easy use with high quality, different colors of items are available. 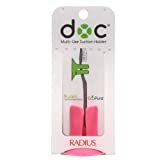 It has suction in the back ,so it can tightly stick to the wall.Easy to stick on ceramic,metal and glass.Suits for Kitchen, bathroom ,hotel and so on.